A quiet start to the column last week. Whilst the PGA players read the script in Hawaii, the less said the better about South Africa, where the impressive Chris Paisley won his maiden very easily from local and tournament fav Branden Grace. It really does feel as though events other than the select top few are open to any player these days and anyone following a group of youngsters over a cliff really shouldn’t be giving up any time soon, clearly at any price. For this week, I’m again taking dvantage’ of Skybet’s offer of first seven places in California, along with their ‘without’ market in the desert. In Abu, it is almost unthinkable that at least one, and probably two of DJ, Justin Rose and Rory McIlroy will be placed by Sunday night. Such are there claims it is tough to choose between them, and whilst it’s hard to knock large each-way bets about any of them, recent events mean odds of not far over even-money the trio have no appeal whatsoever. Distance helps in Abu but as can be seen from several photos posted by players in practise, the rough looks penal and accuracy will give the best chance to attack pins, especially if the desert winds get up. I felt the previous winners and contenders showed a real liking for windy conditions and many of them have shown up on our more tricky and open courses, often those with a links slant. Just looking at the names Kaymer, Donaldson, Fowler, Fleetwood et al led me to look at the likes of Paul Dunne and Callum Shinkwin, both of whom have plenty in front of them throughout the next few years. It was never going to be a surprise that Irishman was going to win on tour, but more so that it didn’t take place on a traditional Links course such was his pedigree and results at such tracks. Watching Paisely beat Grace reminded me very much of Dunne’s final day 61 to beat playing partner McIlroy at Close House keeping an overnight three-shot lead to the line. No surprise that he followed that with a 7th at the Dunhill Links and whilst form steadied through the Autumn, he was lying 7th after the third round of the DP Championship before possible lack of length caught up on finals day, where a 4-over front nine set the day. The 25-year-old former Walker Cup player finished 39th here last year but opened 68/66 to lay 3rd at halfway and will be a much more knowledgeable player now. Indeed, Fleetwood, Fowler and Stal all won after poor years round here, the latter two after just one previous sighting. Short he may be, but at 16-1 without the top three I can’t let Branden Grace go unbacked. He could never get to the winner last week after a double-bogey on the 6th hole but he looked in cruise control for much of the event despite never looking on top form, and he comes here chasing a third top-5 in five starts. With a 13th and 20th here also on his card he looks rock solid in most departments and appeals of the top lot. Continuing what looks like a links love-in, Callum Shinkwin has long been on my list of future winners and, if he can tidy it up, his huge driving may pay dividends this week especially if given an early tee time. Given the nod a few years ago, his career has been followed very closely and he came close to winning at a huge price in the Shenzhen in 2016 but inexperience cost him dear as he collapsed thorough the field on Payday. He again had a chance to break the duck during an otherwise exemplary display in the Scottish Open but pilot error on the final hole led to a play-off loss behind Cabrera-Bello, all experiences he should learn from. The mid-season seemed a reaction to that loss but he steadied the ship during the closing events lying 16th after the 3rd round of the DP and he can only come on for these results. If factors are ,er, a factor then his recent proposal to fellow pro golfer Steph McEvoy may well inspire self-improvement over a course that really should suit. The 250-1 is ludicrous but it may be stretching things just too far although if he has an early tee-time on Thursday, hunt those FRL odds! Its very tempting to go with Ryan Fox, another bomber with a nice top-20 on debut last year and who warmed up with a 4th in a minor event at home and is another who goes well early on a Thursday, whilst Cabrera-Bello looks certain to continue his love affair in this part of the world. However the eye is caught by the price of Dylan Frittelli who has let punters down over the last few weeks but may be better caught at a bigger price in better company. South African’s have done well here, not only with Grace but also with Coetzee and Fichardt, as well as Schwartzel being placed a couple of times in the DP. It may be now time for the next generation to show up and whilst he missed the cut here last year that was his first full season on Tour, and he has left that well behind with a runner-up in China, the maiden win in Austria and a top-5 at the DP. It’s not as if recent form is bad, just simply not what we are expecting, although his top-20 last week at home may have blown away the cobwebs. With two wins at each Challenge and European tour level he certainly isn’t a bad value player to follow at these prices and can only go forwards, possibly past the plodders ahead of him in the market. Over at the PGA, wedge play and putting from 10-25ft will count for plenty. A pro-am of considerable note, the same players show up time and again. Bill Haas loves it here for example, with two wins and numerous placed efforts, whilst the likes of Dufner and Simpson give it the feeling similar to last week’s event. Whether known as the Bob Hope, Humana, or the CareerBuilder and no matter if they play Stadium course or not, the event asks for patience over long rounds, accurate attacking of pins and low scores. Pins will never be as tough as they would be for regular pro events whilst similar form appears in many of the past winners via the Memorial, Sony Hawaii, Houston and a number of Texas venues. Full respect to John Rahm, who will surely be at Abu next year, but from the top only Webb Simpson need apply. Although winless for four years now, he has shown enough over the last few months to believe he can nick another one when conditions suit, or certainly be placed in the top-7. Many punters will be waiting for his favoured Wyndham event in August and this is probably his most suitable event until then. As such, he can take advantage of his recent par-4 stats (the out-of-form Haas tops that particular list in the last four runnings) and his decent run in Hawaii last week when he recorded a weekend 63/65 in 4th. Having taken a while to get used to the new/old putting changes he looks far more confident now and ran up a decent Strokes gained-putting stat last week. 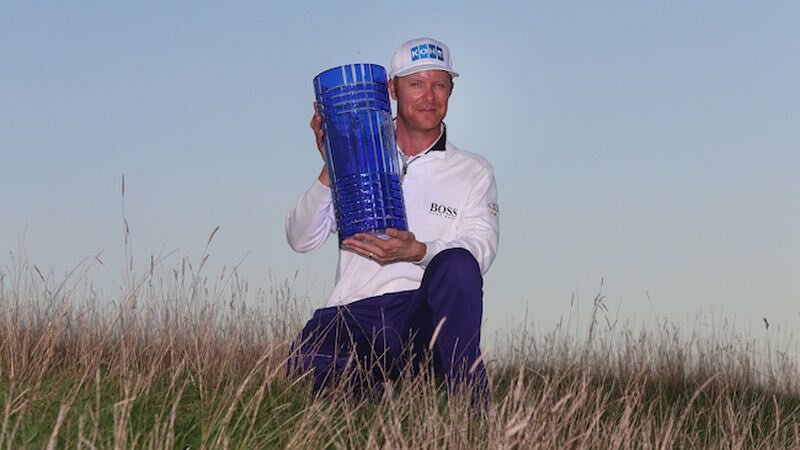 Event form is mixed but he has a couple of top-20 finished to add to his 7th three years ago and whilst he has been through a tough time recently, he is the type to be inspired by life events and recent outings. Chez Revie may drive win-only punters mad, but it’s hard to knock a player who hasn’t missed a cut in 17 starts with eight top-20s (including a couple of top-10s). It’s basic but all the stats are there and he can boast improving recent event form of 12/17 never being closer than at the jamstick. Almost certain to have numerous birdie chances, he is one for whom the weekend will come and they drop. Having backed Jason Dufner for this in 2016 after watching his warm-up at the Sony, I am struggling to leave him out after a similar display last week. Yes, he was a bigger price but the horse hasn’t bolted after he ran up an impressive putting stat off an unusually average approach game and must be inspired returning to the venue of the victory over David Lingmerth in a memorable play-off here two years ago.. The likeable prankster has obvious claims after running up finishes of 18/11 the last two weeks and, well, just that. It was close for the final pick. Austin Cook is another to come here after similar finishes to Dufner and showed he could play pro-am borefests with a top-20 in the Shriners, whilst Wes Bryan is putting the lights out but at the price I’m going for last week’s 3rd Tom Hoge. Certainly less of a household name than the previous mentions, the 28-year-old really should have secured his maiden victory last week when leading inside the back-9 before an incorrect swing led to a double-bogey on 16. Impressive for the three early rounds, Hoge comes here with a 7th in last season’s afore-mentioned Shriners and, to confirm last week’s third-round effort in the wind, has enough in his record in Texas and Puerto Rico. There is precedent of players ‘throwing’ away wins coming back to gain revenge soon after and at 100-1, he’s worth the poke. Told you this would be a short column.